"1492: The Year the World Began is a look at one of the most fascinating years in world history, the year when many believe the modern world was born. Historian Felipe Fernandez-Armesto, author of Millennium, covers such iconic figures as Christopher Columbus and Alexander Borgia and explores cultures as diverse as that of Spain, China, and Africa to tell the story of 1492, a momentous year whose lessons are still relevant today." Written for genealogy groups considering youth programs, this book provides program examples and lesson plans to help get started. 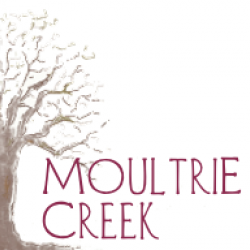 A family history bookstore, Moultrie Creek Books has collected the best genealogy research and reference books as well as a growing number of self-published family histories. It isn’t unusual to pour over census images only to find that the page your ancestor was nesting on has been used as nesting material.This has to be my favorite line in Deborah Collin's The Cloning of Solomon Hays: A Beginner's Guide to Genealogy. It's one of many that touched close to home in my research too. I found this book a delightful refresher course, reminding me of the value of resources I've been neglecting thinking they were old and tired, as well as the fact that basic research techniques function with or without the latest technology. Deborah's writing style is very engaging and her explanations make it easy to see why these steps are necessary or why those bits of information are important.She uses her own research to provide examples on specific research techniques. This gives the book a very personal touch, making it even more fascinating. The story of her efforts to discover the truth behind her great-great grandfather's arrest and conviction describes not only an amazing family story, but a herculean research effort using some unusual record sources to uncover it. This story makes it clear that research is often tedious and frustrating, but the results of those efforts can be so rewarding.In addition to techniques for research, records management and organization, the book covers the many types of records used as research sources, has very nice overviews of the available archives and reminds us of the importance of our own family papers and heirlooms as research tools.I read a Kindle edition of the book which Deborah graciously sent me. The Kindle's annotation features got quite a workout and my copy is now full of highlights and notes so I can quickly reference the many sections I found useful. It's now a permanent part of my research reference library. Although I'm looking at this book from a genealogy perspective - as a reference to help me date old family photos - I've also found it a fascinating look at the fashion fads of years gone by. It's an amazing reference, offering beautifully drawn illustrations combined with a running commentary describing how small differences in the shape of a sleeve or length of a hem can pinpoint a photograph to within a year or two. It begins in the 1830s and continues into the 1960s. [Thank you, Betty, for not forcing us to take another look at the leisure suit. ]Both the index and table of contents make it easy to find a particular period or fashion component when looking for elements from the photograph I'm researching. I've had no problem finding the information I needed for my research. However, it is easy to get distracted with the many fascinating tidbits of fashion history. Betty's commentary is both informative and delightful as she offers delicious social tidbits in with the fashion facts. 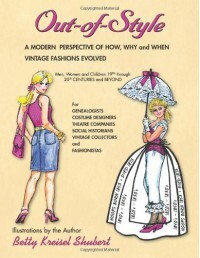 The illustrations are quite detailed and she often includes spot drawings to show even more - like the evolution of sleeve styles within a specific decade. There are notes associated with almost every drawing describing the important features and the time range associated with each. Even accessories and shoes are included in the discussion.This book would be a welcome addition to any genealogical society's research library. It now has a permanent place in my personal library and will be used often as I continue to organize and index my family's photo archives. I love idea books and Claiming Your History: How to Incorporate Your Past Into Your Present has tons of great ones! Taking lessons from her ancestors, author Tracy Whittington has discovered that even the little things - like giving our children ancestral names - creates a bond with our past. There are many creative ideas like designing and family trading cards at family events, having an heirloom shower for a new bride or creating a quilt from baby clothes. Tracy also places great emphasis on valuing our own history. As a family historian, I'm always wishing for a photo of this ancestor, a journal or some letters - something that tells me more about that person than vital statistics. The digital age may have destroyed the art of letter writing, but it has given us the ability to preserve text, images, voice and video easily and affordably. Tracy offers a number of ways to document our own history so future generations will enjoy discovering their ancestors' stories.Because it's a Kindle book, it's never more than a couple of clicks away and whenever I need inspiration, all I have to do is open the book to any page. The ideas in this book will keep me busy for a good long time. 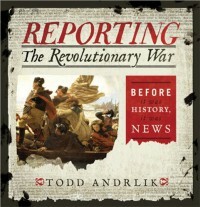 It's a beautiful book and reading actual newspaper articles is a fascinating look at our history. I couldn't put it down. Ryan Littrell has the gift of storytelling and puts it to good use telling the story of his search for his Scottish roots. But this is no normal family history. While Ryan details his efforts searching for his MacDonald ancestors, he also tells the story of the MacDonald clan. One chapter tells his adventures in research in such a way that I was cheering each new success while the next chapter brings the history of the clan another step closer. 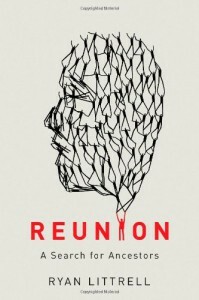 The chapters alternate forward and backward until they reach the reunion - making the connection to the ancestor who migrated to America. In addition to writing a fascinating story, Ryan has provided one of the best descriptions I've seen on how to use DNA results in an ancestor search. 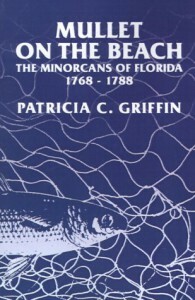 A history of the indentured servants recruited from the Mediterranean island of Minorca who survived the failed New Symrna colony in British Florida to settle in St. Augustine. There descendants live here still. 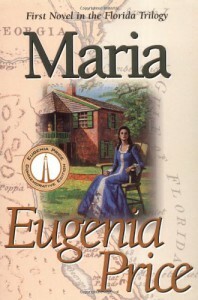 Historical fiction about St. Augustine, Florida, during the British period. Fascinating story and well-researched history combine to provide a snapshot of our city's history. 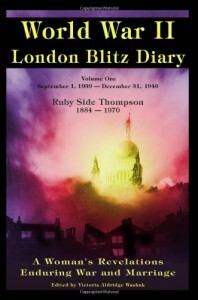 I read the Kindle version ($4.99 and available to Prime users in the Kindle Lending Library). It was almost impossible to put this book down. It's not a soupy, romantic book but more like a good mystery that pulls you in and keeps you guessing. 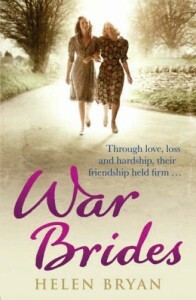 And, this is Helen Bryan's first novel. I'm looking forward to seeing more! This is not a how-to book telling you much of anything about writing a personal journal, but rather an idea book for building gorgeous journals to share with others. These could be as simple as a gardening diary or as complex as a wedding celebration. 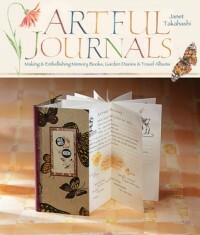 Not only are these journals full of artwork (and this book is full of tips on how to create your own art), they are hand-bound in a number of creative ways. You don't have to be an artist or have any special talent to find inspiration in this book. This is a short book but it's packed with great tools to help you edit your writing projects. The focus is on stories - fiction, biographies and memoirs where there are plots, characters and conversations - rather than essays or how-to topics. Author, Marg McAlister, provides many simple "tools" to help you find the problems in your manuscript along with great suggestions to correct them. Buy this as a digital book so you can keep it nearby as you edit and take advantage of your bookmarks, notes and the device's search function to quickly get to the help you need when you need it. In How to Archive Family Keepsakes, Denise Levenick has created an amazing reference for anyone who has inherited a collection of family letters, documents and personal items. For family historians and genealogists, this is an essential guide for organizing and managing the family archive. She uses her own experience to demonstrate archival issues then offers easy-to understand solutions. The book begins where many of us got started - what to do with grandma's trunk full of photos, letters and papers. She, very correctly, defines this collection as an archive and by doing so defines it as a valuable resource that deserves proper attention. She then proceeds to describe how to evaluate, catalog, organize, preserve and manage that archive with common sense tasks and affordable tools. Her resource sections are well-documented. Best of all, she provides workflows and checklists that help you break down a massive project into manageable parts. I wish I had this book years ago when I inherited my grandmother's archive. Denise's section on evaluation and the initial organizational steps would have made my efforts so much easier. The chapter on organizing for the future makes several very good suggestions for planning what will happen to your archives after your death. Today's digital world adds some interesting quirks to those plans.There are chapters on preservation covering papers, photographs, jewelry, tableware and even military medals. Once again, there are both common sense recommendations for the care and storage of these items along with plenty of resources. An entire section is devoted to digitizing photo and paper archives. In addition to details on the equipment and software necessary to build a digital archive, Denise provides step-by-step instructions along with useful tips, checklists and workflows. I found the discussion on naming conventions full of useful suggestions. In the last section, research strategies are discussed which includes topics on research plans, types of sources, citation styles and how to cite items from your archive. Thanks to today's technology, research is no longer done in a vacuum and she demonstrates where and how to make research connections online. Her organizational skills are impressive and she shares many of those tips with the rest of us. I hate the idea of marking up my print copy of the book and I'm waiting for the day when I have the ebook permanently installed on my Kindle where I can easily search for specific topics along with my highlights and notes whenever I need them. 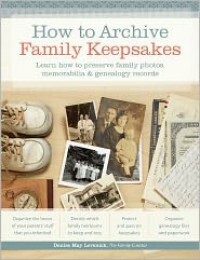 How to Archive Family Keepsakes is a great reference and one you'll want to include in your library of research essentials. A look into another person's private thoughts is always a bit spooky, but in this case it's also hard to put down. We are looking at World War II in Britain from a very personal perspective. As this book shows, the constant stress - and terror - have an impact on everything about this woman and her relationship with her family. It's a fascinating look at history. 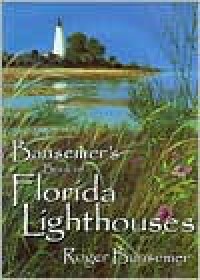 This is a book of lighthouse paintings by Roger Bansemer. The paintings are gorgeous and its a delightful trip around Florida.